1:1 Paul, an apostle of Christ Jesus by the command of God our Savior and of Christ Jesus our hope, 2 To Timothy, my loyal child in the faith: Grace, mercy, and peace from God the Father and Christ Jesus our Lord. 3 I urge you, as I did when I was on my way to Macedonia, to remain in Ephesus so that you may instruct certain people not to teach any different doctrine, 4 and not to occupy themselves with myths and endless genealogies that promote speculations rather than the divine training that is known by faith. 5 But the aim of such instruction is love that comes from a pure heart, a good conscience, and sincere faith. 6 Some people have deviated from these and turned to meaningless talk, 7 desiring to be teachers of the law, without understanding either what they are saying or the things about which they make assertions. 8 Now we know that the law is good, if one uses it legitimately. 9 This means understanding that the law is laid down not for the innocent but for the lawless and disobedient, for the godless and sinful, for the unholy and profane, for those who kill their father or mother, for murderers, 10 fornicators, sodomites, slave traders, liars, perjurers, and whatever else is contrary to the sound teaching 11 that conforms to the glorious gospel of the blessed God, which he entrusted to me. 12:22 Then they brought to him a demoniac who was blind and mute; and he cured him, so that the one who had been mute could speak and see. 23 All the crowds were amazed and said, “Can this be the Son of David?” 24 But when the Pharisees heard it, they said, “It is only by Beelzebul, the ruler of the demons, that this fellow casts out the demons.” 25 He knew what they were thinking and said to them, “Every kingdom divided against itself is laid waste, and no city or house divided against itself will stand. 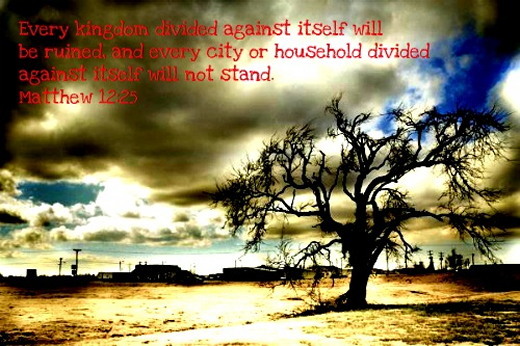 26 If Satan casts out Satan, he is divided against himself; how then will his kingdom stand? 27 If I cast out demons by Beelzebul, by whom do your own exorcists cast them out? Therefore they will be your judges. 28 But if it is by the Spirit of God that I cast out demons, then the kingdom of God has come to you. 29 Or how can one enter a strong man’s house and plunder his property, without first tying up the strong man? Then indeed the house can be plundered. 30 Whoever is not with me is against me, and whoever does not gather with me scatters. 31 Therefore I tell you, people will be forgiven for every sin and blasphemy, but blasphemy against the Spirit will not be forgiven. 32 Whoever speaks a word against the Son of Man will be forgiven, but whoever speaks against the Holy Spirit will not be forgiven, either in this age or in the age to come. As we remember those who have made the ultimate sacrifice for the freedoms we enjoy every day, we think of how they have followed in the footsteps of your son, our Savior, Jesus Christ. Please hold our servicemen and women in your strong arms. 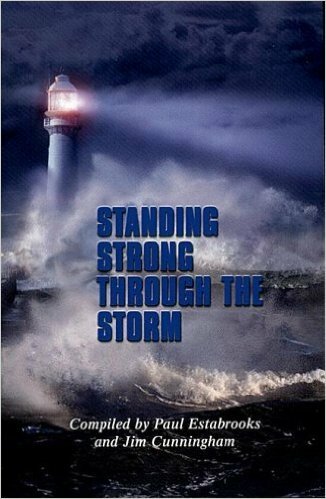 Cover them with your sheltering grace and your presence as they stand in the gap for our protection. We also remember the families of our troops. We ask for your unique blessings to fill their homes, and we pray your peace, provision, and strength will fill their lives. May the members of our armed forces be supplied with courage to face each day and may they trust in the Lord's mighty power to accomplish each task. Let our military brothers and sisters feel our love and support. In the name of Jesus. It’s honorable and fitting this morning we remember the sacrifice of our nation’s great veterans, who gave their lives on battlefields abroad and here at home. By some estimates, nearly 1.3 million Americans have shed their blood and died for freedom’s cause. Still, as magnanimous as this number is, it pales in comparison to the number of men, women, and children who have given their lives for freedom’s, eternal cause. Michael J. McClymond, writing for the Journal of the American Academy of Religion, wrote in its December 2002 edition: “The total number of Christian martyrs during the 20th Century is reported at 45 million.” He finished his though by defining Christian martyrs as “Believers in Christ who lost their lives prematurely, in situations of witness, as a result of human hostility." You know, God only knows how many more have shed their blood for the cause of Christ in the last two thousand years. It’s fitting this morning we likewise remember their sacrifice. Still, more fittingly, it’s important we remember the One they believed in, who shed the purity of his blood for freedom’s cause. For without the sacrifice or our Risen Lord, we in American would not enjoy the freedoms we love and know so well. 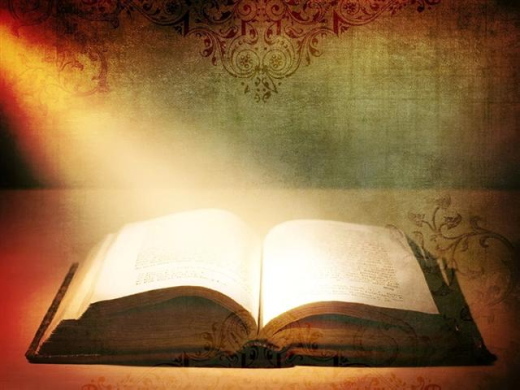 Turn with me in your Bibles to the book of Luke 22:19-20. On the night in which he was betrayed, our Lord Jesus Christ gathered with his disciples to share one final meal. Luke recorded Christ’s words as he tore the unleavened bread. Jesus said, “This is my body given for you; do this in remembrance of me.” To us Christ was saying, “Never forget the price I paid for you. Remember always that which was broken and poured out for you” upon humanity’s most brutal battlefield — my cross, which stood upon Calvary’s hill. Paul wrote to a people divided and embroiled in jealousy, quarreling, litigious lawsuits, sexual immorality, material idolatry, and another biggie: a failure to remember and heed Israel’s past mistakes. That sounds like America today, doesn’t it? You know, someone needs to say it, and I’m going to, because it’s time we call forth, that which hate to utter. We’ve become a nation jealous and envious of our neighbors and one another. We constantly quarrel, bicker, and sue one another when we do not get our way. Sexual immorality and material idolatry is running more rampant today than ever before — even within the church in America. But more than all of these — like Israel, and like the church in Corinth — America is forgetting the real reasons we’re free. Paul implored the Corinthians to not forget the price for the freedom they enjoyed. He was saying, thank God every day for sending first Christ, and then his Apostles, who are carrying you into the future. Through the Spirit of God, Paul’s words echo eternal to us in our day-and-age. The Spirit of the Living God is saying, Honor Christ and remember his sacrifice!” Dear friends, I have to tell ya, I’m afraid that if we continue to displace the real reason America is free, that our freedoms in Christ may cease to be. America is in danger of forgetting the sacrifices of those, who in the footsteps of Christ, have died for the freedoms born by patriots over 200 years ago. Memorial Day has become a celebration of hotdogs, picnics, Indy-Car races, and having an excuse for a day off, more-so than remembering the reason’s it was first celebrated at all. Now truthfully, we all like all that stuff — and it’s all fine-and-dandy that we partake in Memorial celebrations, for as long as we still memorialize those who’ve died for our freedoms. I’m glad there’s still a remnant of folks — I bet like many of you — who will remember our loved who’ve passed on, and those in our country who’ve shed their blood for the freedoms we enjoy in the USA. For our loved ones, fallen heroes, and to those who’ve died for the sake of Christ, I think it’s important we stand united and say: “We haven’t forgotten, the price you have paid. You have given us the freedom that we enjoy today. And every day we thank our God, for sending you — the ones who with Christ Jesus — carries into the future, the dreams of me and you. So many people have paid the ultimate price so we can be free. But you know, without Christ Jesus, the price for America’s freedom, could not have been paid. While our flag still stands tall, it’s good to remember Jesus as the first to symbolize the red, white and blue. The red is for his blood; and the blue is for his bruises, and the white is for his eyes that lovingly fought and died for me and you. His Spirit is crying out, saying, remember, so that you do not forget. Because if you fail to remember, then you may forget the reason that America is still alive. Let us lift our hands to heaven and shout unto God. We haven’t forgot, the price you have paid. You’ve given us the freedom that we enjoy today. We thank you God every day, for sending your son, who carries into the future, the dreams we have for a future blessed by you. To honor God, let us remember our heroes by standing together and saying, “Jesus is the reason America is alive.” Go out and have fun. But, amidst our fun, let’s us remember the sacrifice and the reason the star spangled banners still waves, as it sends its message to the world, saying come and be a part of the reason God still blesses the USA. Father, as we remember those who have made the ultimate sacrifice for the freedoms we enjoy every day, we think of how they have followed in the footsteps of your son, our Savior, Jesus Christ. Please hold our servicemen and women in your strong arms. 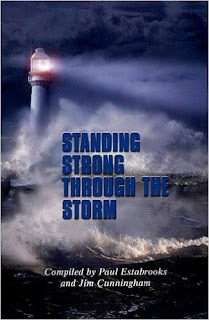 Cover them with your sheltering grace and your presence as they stand in the gap for our protection. We also remember the families of our troops. We ask for your unique blessings to fill their homes, and we pray your peace, provision, and strength will fill their lives. May the members of our armed forces be supplied with courage to face each day and may they trust in the Lord's mighty power to accomplish each task. Let our military brothers and sisters feel our love and support. In the name of Jesus. Amen. Scripture taken from the Holy Bible, New International Version®, NIV® Copyright ©1973, 1978, 1984, 2011 by Biblica, Inc.® Used by permission. All rights reserved worldwide. Devotion written by Rev. Jason Bonnicksen, Reframe Church (LCMC), Maumee, Ohio. Memorial Day has become a celebration of hotdogs, picnics, Indy-Car races, and having an excuse for a day off, more-so than remembering the reason’s it was first celebrated at all. Her name means: "The Seventh Daughter" or "The Daughter of an Oath"
Her character: Her beauty made her victim to a king's desire. Though it is difficult to discern her true character, she seems to have found the courage to endure tragedy, winning the king's confidence and eventually securing the kingdom for her son Solomon. Her sorrow: To have been molested by a supposedly godly man, who then murdered her husband. To have suffered the loss of one of her sons. Her joy: To have given birth to five sons, one of whom became king of Israel after David's death. Bathsheba squeezed the sponge, moving it rhythmically across her body as though to calm the restless cadence of her thoughts. Normally, she looked forward to the ritual bath marking the end of her monthly period, but tonight the water soothed her skin without refreshing her spirit. She should be glad for the cool breeze. For flowers. For a lush harvest. But spring could also yield its crop of sorrows, as she well knew. Spring was the season for armies and battles. Once the rains had ceased and the harvest had been gathered, men marched off to war, leaving their women behind. Bathsheba shivered as she stood up. Though her husband, Uriah, was a seasoned soldier, she still worried about him, wishing she could fall asleep in his arms. But he was camped with the rest of the king's army beneath the open skies of Rabbah, an Ammonite fortress some forty miles northeast of Jerusalem. The king rose from his bed, unable to sleep. Pacing across the palace roof, he gazed at the city below. Jerusalem seemed calm, a city at peace with itself though at war with its neighbors. Soon his soldiers would gather a great harvest of Ammonite captives, laborers for his expanding kingdom. The casual observer might have thought David a man at peace with his growing power. Instead, the king could not quiet an increasing sense of discontent. Then, in the half-light, David noticed the figure of a young woman bathing in the walled garden of a house below him. He leaned against the outer edge of the roof for a closer view. Wet hair curling languidly against skin soft as lamb's wool. Breasts like rounded apples. He reached as though to steal a touch. Unaware of watching eyes, the woman toweled herself dry and stepped into the house. He waited and watched, but even the king could not see through walls. Over the next few days, David made inquiries and discovered that the vision had a name: She was Bathsheba, the wife of one of his soldiers, Uriah the Hittite. He sent for her. She came to him and became pregnant with his child. Fearing discovery, the king ordered Uriah home from battle. But the soldier surprised him by refusing to spend the night with his wife: "The ark and Israel and Judah are staying in tents, and my lord's men are camped in the open fields. How could I go to my house to eat and drink and lie with my wife? As surely as you live, I will not do such a thing!" So David convinced Uriah to spend another day in Jerusalem, managing to get him drunk. Surely the wine would overcome his scruples. But it didn't. So David played his last card, entrusting Bathsheba's husband with a letter to Joab, commander of the army. It read: "Put Uriah in the front line where the fighting is fiercest. Then withdraw from him so he will be struck down and die." So Uriah died by treachery, and David claimed Bathsheba as his wife, her child as his own. One day, the prophet Nathan approached David, saying: "There were two men in a certain town, one rich and the other poor. The rich man had a large number of sheep and cattle, but the poor man had nothing except one little ewe lamb he had bought. He raised it, and it grew up with him and his children. It shared his food, drank from his cup, and even slept in his arms. It was like a daughter to him. David was incensed: "As surely as the Lord lives, the man who did this deserves to die! He must pay for that lamb four times over, because he did such a thing and had no pity." Then Nathan said to David, "You are the man! This is what the Lord, the God of Israel, says: 'I anointed you king over Israel, and I delivered you from the hand of Saul. I gave your master's house to you, and your master's wives into your arms. I gave you the house of Israel and Judah. And if all this had been too little, I would have given you even more. Why did you despise the word of the Lord by doing what is evil in his eyes? You struck down Uriah the Hittite with the sword and took his wife to be your own. Now, therefore, the sword will never depart from your house.' "
David's lust for Bathsheba marked the beginning of his long decline. Though God forgave him, he still suffered the consequences of his wrongdoing. His sin was a whirlpool that dragged others into its swirling path. And despite David's prayer and pleading, God allowed the son David had conceived with Bathsheba to die from an illness. But why did Bathsheba have to suffer along with the man who molested her and murdered her husband? Though the story gives us little insight into her true character, it is hardly likely that Bathsheba was in a position to refuse the king. In Nathan's parable, in fact, she is depicted as an innocent lamb. Why, then, have so many people painted her as a seductress? Perhaps Bathsheba's innocence is too painful to face. That a good person can suffer such tragedies, especially at the hands of a godly person, appalls us. Worse yet, God punishes both David and Bathsheba by taking their son. If we can believe that Bathsheba had an affair with David, we could accept her suffering more easily; her guilt would make David's sin seem less grave and God's punishment less cruel. Though Bathsheba may not have understood the reasons for her suffering, God gave her favor with King David, making her both a powerful queen and the mother of David's successor, Solomon, who became famous for his great wisdom. The story of David and Bathsheba outlines in graphic detail the horror of sin and where it leads. David's first step toward sin leads to adultery, lying, deceit, murder, and, finally, the death of a son. The link between sin and restoration comes when David admits his sin and Nathan says the Lord has taken it away (2 Samuel 12:13). How much guilt is Bathsheba's isn't clear; however, when God tells them through the prophet Nathan that he loves their son Solomon and wants him to be called Jedidiah, the restoration is Bathsheba's as well as David's. If God could forgive this terrible sin of David, don't you think he could forgive your sin, whatever it may be? When I was a little girl, one of the highlights of every summer was going to our family reunion at White Oak Park. I loved those reunions because there was always a seven-layer salad, yummy home-made favorites, and lots of desserts. All of us kids played fun games that filled us with laughter and drenched us in sweat. Then after the kid games were done, some adults would join us for a final competition: the tug-of-war. Are you ready to fight with MORE?Gwen’snew book, I WANT IT ALL, will challenge and point you toward more faith, more power, and more impact. More of Jesus. All of Jesus. Everything that God has for you. Order yours today from Amazon or your favorite retailer. When I was a little girl, one of the highlights of every summer was going to our family reunion at White Oak Park. The world of five-year-old Dakota Pitt had been turned upside down. His father, Rob, a 16-year veteran police officer in Terre Haute, Indiana, had been shot and killed by a 21-year-old man. Since the murder, the boy had been caught up in a whirlwind of activities: people had to be notified; plans for the funeral had to be finalized; he had been at the memorial service and had seen the great funeral procession honoring his father, and he had been there to see his father's casket lowered into the grave. Five days after the shooting, Dakota's mother decided it was time for her son to go back to school and, as much as was possible, try to resume his normal life. Dakota didn't argue about going to school, but he did put in a request: "Is it possible," he asked, "for one of dad's police friends to take me to school for the first time?" It seemed like a reasonable request, so mom said she would see what she could do. Sadly, when the day came for Dakota to go back, no officer came to Dakota's home. So, mother drove her boy to Sullivan Elementary School. When they arrived at school, Dakota was overjoyed to see he hadn't been forgotten. Waiting for the boy, there was no less than 70 uniformed police. Wearing his father's badge, the boy walked past the honor guard and into school. A spokesman for the officers said, "We wanted Dakota to know we will always have his back." I began to think wouldn't it be nice if all of us knew there was someone who could be counted on to have our backs? Then I remembered, we do have exactly that, and more. We who have been saved by the Savior's life, death, and glorious resurrection know that He has promised to be with us always. 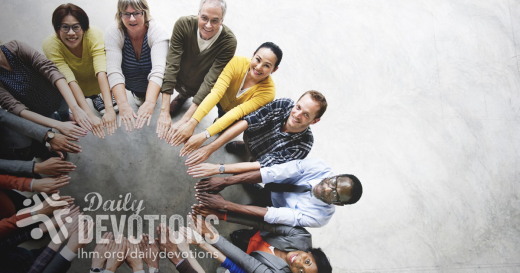 Elsewhere in Scripture, we are told nothing can separate us from the Lord's love. Our verse which appears at the top of this devotion says much the same: "The steadfast love of the LORD never ceases; His mercies never come to an end; they are new every morning." Truly, it is a great thing to know we are the recipients of the forgiveness and love which comes from our faithful Lord. 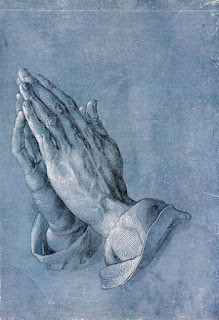 THE PRAYER: Dear Lord, many of us have been blessed to have family and friends who keep us in their prayers and do all they can to support us and keep us safe. For them we give thanks. But most of all, we appreciate the Savior and the sacrifice He made so our sins might be forgiven and we would be assured of life eternal. For His faithful and ongoing presence in our lives, we are truly grateful. In Jesus' Name we pray. Amen. "De vuelta a la realidad"
Regocíjense en el Señor siempre. Y otra vez les digo, ¡regocíjense! Que la gentileza de ustedes sea conocida de todos los hombres. El Señor está cerca. No se preocupen por nada. 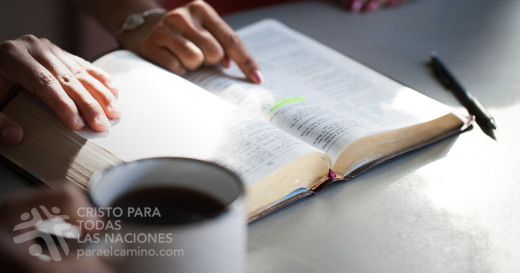 Que sus peticiones sean conocidas delante de Dios en toda oración y ruego, con acción de gracias. Y que la paz de Dios, que sobrepasa todo entendimiento, guarde sus corazones y sus pensamientos en Cristo Jesús. El fin de semana largo ya está por terminar... mañana volvemos a la realidad. Durante este fin de semana largo fácilmente puede que hayan habido docenas de emergencias nacionales, más de cien crisis mundiales y probablemente algunos problemas en su vida personal. Aun cuando la mayoría de estas suposiciones no se haya hecho realidad, debemos reconocer que la mayoría de las personas no van a estar contentas porque deben regresar al trabajo. Es por ello que quizás sea bueno que recordemos que las únicas personas que no tienen problemas son las que están en los cementerios. Demos gracias al Señor porque, si tenemos problemas, es porque estamos vivos. ¡Estamos vivos! Y la vida que tenemos es un regalo maravilloso. Aun cuando las condiciones que nos tocan vivir no sean las ideales o exactamente las que queríamos o esperábamos, estamos vivos. El Señor nos está dando hoy el regalo del tiempo para que lo usemos o abusemos, para que lo invirtamos o lo malgastemos. Es posible que alguien se pase estas 24 horas pensando en el fin de semana largo que está terminando, o sacando la cuenta de cuántos días faltan para el próximo fin de semana largo, desperdiciando así el regalo recibido. Mucho mejor es dar gracias al Padre celestial por el regalo de la vida, y al Salvador resucitado por su sacrificio en la cruz que nos abre el camino al cielo. Alegrémonos de que estamos vivos... y de que, gracias al Salvador, vamos a vivir por la eternidad. ORACIÓN: Querido Señor, gracias por el tiempo que me has regalado y por la vida que me has dado. Ayúdame a vivir plenamente cada momento, para que mi vida sea un constante agradecimiento a ti. En el nombre de Jesús. Amén. 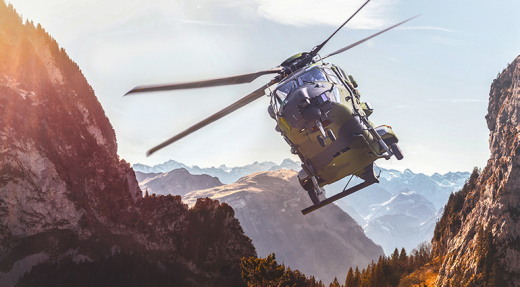 Nachdem er seinem Land zwei Jahrzehnte als Hubschrauberpilot gedient hatte, kehrte James zurück, um seiner Gemeinde als Lehrer zu dienen. Aber er vermisste die Hubschrauber und so übernahm er die Aufgabe, für ein örtliches Krankenhaus Krankentransporte zu fliegen. Er flog bis in sein hohes Alter. Nun war es an der Zeit, ihm Auf Wiedersehen zu sagen. Als Freunde, Familie und uniformierte Kollegen auf dem Friedhof Wache standen, rief ein Kollege über das Radio zu einem letzten Einsatz auf. Bald konnte man das charakteristische Geräusch von Rotoren hören, die durch die Luft peitschten. Ein Hubschrauber kreiste über den Gedenkgarten, schwebte kurz, um Respekt zu zollen und flog zurück zum Krankenhaus. Nicht einmal das Militärpersonal, das anwesend war, konnte die Tränen zurückhalten. Als König Saul und sein Sohn Jonatan in der Schlacht getötet worden waren, schrieb David ein Klagelied für die Ewigkeit, genannt das „Bogenlied“ (2. Samuel 1,17). „Die Edelsten in Israel sind auf deinen Höhen erschlagen“, sang er. „Wie sind die Helden gefallen!“ (V.19). Jonatan war Davids engster Freund und Kampfgenosse. Obwohl David und Saul Feinde gewesen waren, ehrte David beide. „Weint über Saul“, schrieb er. „Es tut mir leid um dich, mein Bruder Jonathan“ (V. 24,26). Selbst die besten Auf Wiedersehen sind ach so schwer. Aber für die, die auf den Herrn vertrauen, ist die Erinnerung eher süß als bitter, da sie niemals endgültig ist. Wie gut, dass wir die ehren können, die anderen gedient haben. Herr, wir danken dir für diejenigen, die ihren Gemeinden als Ersthelfer gedient haben. Wir bitten dich demütig um ihre Sicherheit. Wir ehren den Schöpfer, wenn wir die Erinnerung an seine Geschöpfe ehren.